As I think back to the Green Bay Packers’ close (but not quite good enough) performance against the undefeated Los Angeles Rams on Sunday afternoon, I am left with one major take away: this team is going to be really good in a couple of years. Make no mistake about it, the Packers hung tough with the best team in the NFL for four quarters. They looked good, but they just weren’t good enough. And what has left fans stinging the most after an all but assured loss (the Packers were facing the largest underdog spread that Vegas has given them since Aaron Rodgers became the starting quarterback) is that it feels like the Packers should have won. They had the win within their grasp and took it away from themselves with a few boneheaded coaching mishaps (an Aaron Jones dive into the heart of the LA defensive line on the Packers’ goal line, wasted time outs, etc.) and player mistakes (Ty Montgomery’s fumble, first and foremost). This is precisely the sort of thing that we see from ascending teams: young players flashing future potential while taking some lumps along the way. As Zach Kruse wrote on Monday, “Unrealized potential becoming theme of Packers’ frustrating 2018 season.” The Packers have scrapped and clawed to hang with most teams, but are missing that experience and depth to finish close games, the hallmark of great teams. 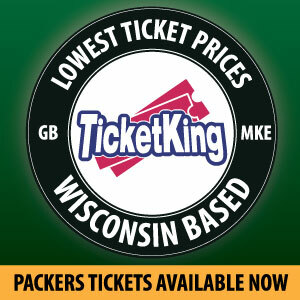 Sitting at 3 – 3 – 1, the Packers are mediocre at best. They are certainly not a great team… at least not yet. Obviously it is a bold prediction to claim that the Packers will not win a Super Bowl this year or next (that is, in the 2018 and 2019 seasons). Even more bold is the claim that they will win it all at the end of the 2020 season (with a Super Bowl that will technically be played on February 6, 2021, in, coincidentally, Los Angeles). The prediction ultimately stems from what I believe to be both pessimism and optimism. With the Packers there is a lot to be pessimistic about in the short term, but there is a lot to be optimistic about in the future. First, in regard to the the short-term: the loss against the Rams is just the beginning of the toughest part of the schedule. With the Packers already sitting at .500, the playoffs are far from a certainty. Yes, Rodgers has worked near-miracles before to rally an underwhelming team into the playoffs. Even if that happens, this does not look like a team ready to make a deep playoff run. All indications are that anything less than a deep playoff run will likely result in the parting of ways between the Packers and head coach Mike McCarthy. The lingering concerns that McCarthy has lost the team, is not on the same page as Rodgers, etc. have only fed into that narrative. By all appearances, it seems that this is the last year for McCarthy in Green Bay. It will mark the end of the Ted Thompson/Mike McCarthy Era. That era peaked with a championship in the 2010/2011 season but nonetheless sustained major success throughout. The Packers reached the playoffs a franchise-record eight consecutive times during this era. Still, for many, it will be marred with a sense of missed opportunities; the Packers made the Super Bowl only once in those eight years. The era seems to be coming to an end not with a bang but a whimper, evidenced by the 2018 Packers slide into mediocrity. Perhaps the greatest reason for that slide is the lack of personnel depth which Ted Thompson left the Packers with. Rob Demovsky (and many others) have spoken well about the abysmal nature of the last three drafts. Thompson’s lack of engagement with free agency (even, reportedly, delegating those decisions to finance and salary guru, Russ Ball) has also left the Packers with some glaring holes. All of this has resulted in Green Bay being merely a shell of the perennial contender of years past. You simply can’t win with a draft and develop strategy if you don’t draft or develop good players. Still, there are reasons for optimism in the long-term. Most importantly, Aaron Rodgers has signed a contract extension which all but guarantees that he will finish his career in Green Bay. By the time Super Bowl LVI rolls around in early 2021, Aaron Rodgers will have just turned 38. There can be no doubt that Rodgers will no longer be at his peak, but Tom Brady and Peyton Manning have shown that great quarterbacks can lead teams to championships. An Aaron Rodgers at 75% of his peak play is a quarterback who is still better than most QBs in the league. Secondly, the Packers have a lot of young talent that they can build around. Jaire Alexander is a no. 1 cornerback. Along with Alexander, Kenny Clark and Blake Martinez could be staples of the Packers’ defense for a long time to come.Green Bay also has a bevvy of young talent at the offensive skills positions helping them to transition away from the Jordy Nelsons and Randall Cobbs and Eddie Lacys of the past era. So the Packers are really a team at a crossroads. All of this young talent needs to be filled out with better drafts and smart dips into free agency, two things which we can (tentatively) expect out of new GM Brian Gutekunst. The Packers have two first round picks next year and will likely have a lot of cap space to play with (as at least some under-performing and over-paid veterans like Clay Matthews, Randall Cobb, Nick Perry, Brian Bulaga, etc. will be coming off the books). The Packers will be in a fantastic position to regroup and rebuild around key players. But success won’t come over night. 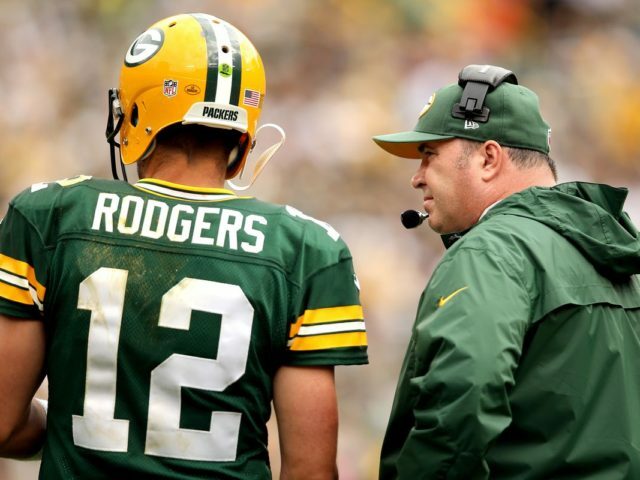 There will be growing pains, especially if Green Bay has to reform under a new coaching staff. It will take time to gel. It will take time to find a new identity under a new GM and head coach team. I hope that I am wrong. I hope that the Packers win the Super Bowl this year. I hope that McCarthy sticks around for another five years and leads the Packers to multiple Super Bowl victories. If we have learned one thing about a McCarthy-led team it is that you can never count them out. And maybe all of the talk is just that: talk. Maybe the Packers miss the playoffs this year, regroup under McCarthy and make a serious push next year. Only time will tell. However, at this point, to my mind at least, none of this seems very likely. Instead, I see things playing out as I have laid out above, an hopeful but realistic prognostication. The Packers are trending up, but they are a team experiencing, I think, a monumental shift from one generation to another. I believe that Mark Murphy and Aaron Rodgers will be able to act as a bridge, continuing the success of the past and carrying it into the future. But the rebuilding will have to take place first. The bridge will have to be traversed before the Packers can make it on to the other side. And this will require that Packers fans re-learn how to do something that they haven’t had to do in awhile: temper expectations and wait. This entry was posted in Packers 2018-2019 Season, Seasons, Taylor O'Neill, Uncategorized and tagged Aaron Rodgers, Blake Martinez, Green Bay Packers, Jaire Alexander, Kenny Clark, mike mccarthy, Playoffs, Russ Ball, super bowl, ted thompson. Bookmark the permalink. Article is BS words ar best. I can predict the same thing. Offense is stale, boring, and very predictable for defenses. We always depend on Rodgers pulling it out! MM must go to Browns now. As for defense, Pertine has improved them. Add two fierce pass rushers in the rotation and much more speed st linebacker and we will be very tough. This year, based on lack of game preparation and boneheaded plays, the Packers could very well be last in our division. How will that settle with you? Vikes, Bears, and Lions are passing the Packers! Who saw that coming? I did. Look at the draft and develop philosophy. How’s that working out? Terrible. Why don’t more fans blast out feeble, blind scout teams. They are crap! Blame Ted for sure, but Gute is appearing to be about the same. You say he’s called on needed position help. Results? None. We may as might have called. Same results. Give Gute a chance? Okay. But we still have our same scout teams, MM, Murphy, Ball, and yes, Ted in the building. So hope, but be realistic based on watching the games. We must draft better and with two first round picks in 2019 we must draft two blue chip players. Time for a first round offensive lineman like Bulaga and then a pass rusher or the other way around. Protect the franchise. Utilize the running game to set up the passing game. Jones had 12 carries for 86 yards. Gurley had 25 carries for 30 yards more of rushing yards. Imagine Jones with 20 carries. Back to the draft we missed on T.J. Watt two years ago and then Derwin James this year. Two Blue Chip pro bowl caliber talents. James will be DROY. C”mon we have to do better. And for the love of the game let’s not be afraid of free agency the Rams sure haven’t been with 7 first round picks now on their starting defense. This is the Rams year and there is no denying it!! !